You see, while my desk may not always show it, and while the yard might not win the “Yard of the Month” award in any given month, I am, at heart, an organized person. Those who know me are familiar with the Franklin Planners I rarely leave behind. I try to have one for each season, because, after all, our binder colors have to match the color of the leaves and flowers. I suppose I come by this naturally. My mother, bless her heart, labels everything, even the laundry baskets: Whites, Darks and Colors. I never have to ask where something is when we visit them in Arkansas; what I am looking for is in a logical place, properly labelled, every time. 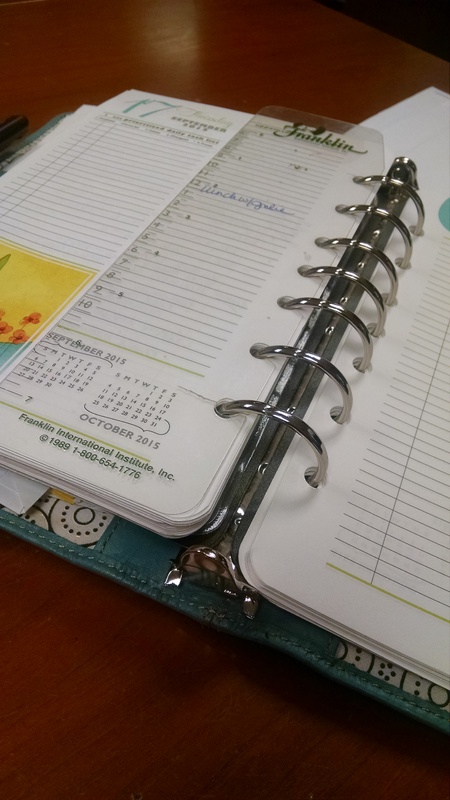 When I truly evaluate my habits, though, I have to admit, I only want to APPEAR organized. Inside, sometimes, my mind is mush, and I can’t remember where I parked my car. Really. I once spent about 1 ½ hours with a dear friend who drove me around the Dallas Fort Worth Airport, looking for my misplaced car. We found it exactly where I left it. I really want to be the person who remembers to lay out her clothes the night before, and have certain days for laundry, grocery shopping, and errands. At least I think I do. So really, why all this effort to appear organized? I like my data, and research shows that multitasking and upkeep of the perfectly organized life are actually harmful to us. Daniel J. Levitin, in his book, The Organized Mind: Thinking Straight in the Age of Information Overload, shares that multitasking and over emphasis on organization actually increases the stress hormone cortisol, increases the fight-or-flight hormone adrenaline, and makes us less productive overall. Truth: Stay focused on God, the ultimate multitasker. Taking this to heart, I can know that whatever the day brings, God will provide answers. Getting rid of the mental clutter, to make sure my head is focused on the important things, getting out of my own way – that’s the answer. ← What’s on Your Wall?